When choosing the right pet food for your dog, whether small or large, you want to make sure their diet includes premium ingredients that keep them healthy, fit, and going strong. 4Health Dog Food is available in both wet and dry forms to power your pet's day with unique formulas tailored to their needs. 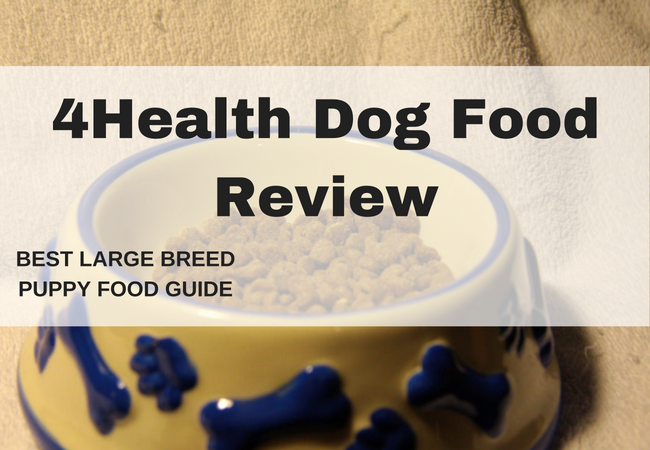 What Is 4Health Dog Food and How Does It Work? Ultimately, when considering 4Health food compared to competitors, you'll want to look at the following. 1 What Is 4Health Dog Food and How Does It Work? 7.2 Ultimately, when considering 4Health food compared to competitors, you'll want to look at the following. Uses real meat as it's foundation ingredient. 4Health dog food focus on using natural ingredients contain probiotics that support optimal digestive health, omega fatty acids, and antioxidants. Some consumers may exhibit skepticism about the quality of the products, because the price point is modest and affordable. 4Health dog food is a pet food brand that provides four different formulas to give dogs a balanced diet, without a sticker shock price attached. 4Health does not contain corn, soy, or wheat products, and uses real meat as it's foundation ingredient. The recipes created for 4Health dog food focus on using natural ingredients contain probiotics that support optimal digestive health, omega fatty acids, and antioxidants. 4Health offers Original for weight control, and its Special Care does not contain meat as it's primary ingredient because of dietary sensitivities. All formulas except for Original are grain-free, so dogs with allergies to grains can enjoy a dog food that is easier on their digestive system, and respects their specific health needs. The 4Health dog food is a private label of dog food that is made exclusively for the Tractor Supply Company. The Tractor Supply Company has been around since 1938, and the manufacturers of 4Health are Diamond Pet Foods and based in the United States. 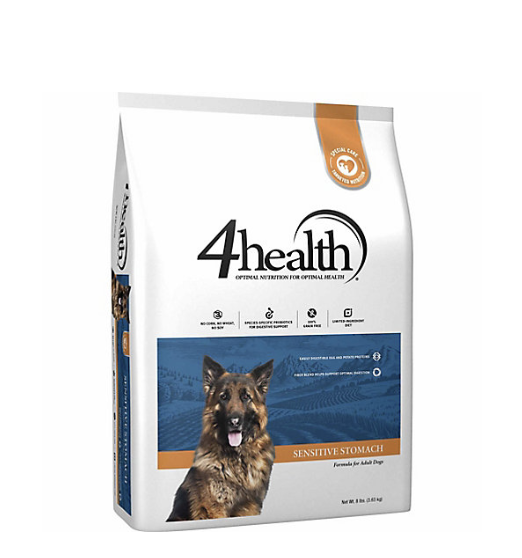 The 4Health brand was released in 2010 by the Tractor Supply Company as an affordable food for dogs that provides nutrition that supports optimal health. Since 4Health is a private brand for Tractor Supply Company, customers who are interested in their dog food can only purchase 4Health from Tractor Supply Company. The price of 4Health and its availability may vary based on geographical location. The composition of 4Health food is similar to brands found in more mainstream stores. 4Health does not use wheat, soy, or corn in its products because of the risk of digestive issues, and pet allergies. Probiotics and antioxidants are added to 4Health dog food to enhance the digestibility of their products, absorption of included chelated minerals, and to support a dog's immune system. Brand 4Health uses a considerable amount of protein from sources like chicken, chicken meal, fish, and plant sources. So this dog food is not solely depending on animal sources alone for nutrition. Since 4Health is a private brand, the Tractor Supply Company provides a dog food with a competitive edge, because it uses ingredients that support better digestion, improve skin problems, and provide a balanced diet of proteins and fats. Plenty of other companies that create dog food don't mind throwing in fillers made from soy, corn, or wheat. But 4Health food doesn't include any of those ingredients among its four signature formulas. Thus, 4Health is exclusive to Tractor Supply Company, so it may be harder to purchase than other brands that distributed in multiple venues. The formulas created for the 4Health brand focus on nutrition specific for puppies, small breeds, active dogs, large breeds, and mature dogs. It is available in dry dog food form, canned foods, and snacks are also available. The Salmon & Potato formula is favorite dog food for adult dogs that includes salmon, fishmeal, potatoes, peas, and other ingredients. Owners who have fed their beloved canines this formula have found that certain skin conditions have improved, versus when eating other brands of dog food. Peas are often used in dog foods instead of corn because it offers both a source of dietary fiber and has significant plant-protein. Some dogs may have digestive issues with peas, but usually, additional ingredients like enzymes that support digestibility are included in dog food formulas to counter adverse reactions like diarrhea or gas. Such is the case with 4Health dog food. The inclusion of enzymes and probiotics in 4Health to support dog digestion and gut health is a plus. The minerals included in 4Health dog food are chelated, which makes them more readily absorbed. Dog lovers who want a dog food that supports joint health will appreciate that 4Health includes the use of glucosamine and chondroitin. This product does use tomato pomace in its dog food, which some owners see as merely an inexpensive filler. Tomato pomace does add vitamin C and fiber to dog food when used, even in trace amounts. The inclusion of beet pulp is another ingredient worth looking over. Beet pulp is often used as a filler, but does provide some fiber and is connected to a healthy intestinal tract and benefits blood sugar levels. Other ingredients that might make you reconsider 4Health is the inclusion of flaxseed and rosemary extract. Flaxseed and flaxseed oil may be rich in fiber, provide omega-3 fatty acids, and contain protein, but may also cause dogs difficulty with conception and breeding. Rosemary extract may exacerbate seizures or epilepsy in a canine, but it is a preservative in some dog food. Overall, 4Health food balances its use of animal sources for proteins and fats, in addition to plant-sources of protein too. 4Health backs up their promise as a dog food that provides premium nutrition for an affordable price. The Tractor Supply Company retails a 30-lb. Bag of the grain-free Beef & Potato dog food for $$ Prices are subject to change based on your location. However, if you sign up for auto-ship and have an order over $$, customers are eligible for free shipping. Canned foods for dogs under the 4Health brand are very inexpensive. A 3.5 ounce can of grain-free selections like Chicken Dinner in Gravy with Peas & Sweet Potatoes or Beef Dinner in Gravy with Carrots & Sun Dried Tomatoes retail online the Tractor Supply Company for $ each. Canned foods that are 13.2 ounces to 22 ounces retail under $ each. 4Health has a good reputation, albeit it did suffer a recall for its dog food once, and at a later date for cat food. In 2012, 4Health dog food was recalled voluntarily by Diamond Pet Foods because of Salmonella. 4Health's value and price wow many customers because of the quality of ingredients used. 4Health dog kibble is created for a range of dogs depending on breed size, age, and dietary needs. The fact that 4Health offers grain-free options makes it a winning choice for dogs who have significant allergies or sensitive tummies. Owners of dogs who are fed 4Health food have commented on how they noticed visible improvements on their dog's coat, teeth, weight, and health. Stools that were once loose, overly hard and inconsistent become more regular. Dogs who begin eating 4Health dog food have displayed shinier coats, and skin problems clear up. The grain-free formulas are typically credited for the success stories, and 4Health's inclusion of antioxidants and digestive enzymes in their products. Customers have rated 4Health food with 4 and 5-star ratings, and are willing to wait a little longer to get the dog food that their dogs respond positively to after eating. Customers have commented, "Great for allergies." and "My dog loves the taste." Concerns about sensitive dogs with allergies to grains, or picky eaters because of digestive issues are a major deciding factor on a dog food choice. The only possible letdowns with 4Health are that it is an exclusive private label produced for the Tractor Supply Company, and it is only available for sale by their locations. Since 4Health is a private brand, some consumers may exhibit skepticism about the quality of the products, because the price point is modest and affordable. The Diamond Pet Food Company that manufactures 4Health dog food has come under some scrutiny because of voluntary recalls of its pet foods. Plus, the Diamond Pet Food Company has used questionable ingredients sourced from overseas. Despite the few possible negatives about 4Health food, you can't beat the price per pound of dog food, and added benefits from antioxidants, balanced formulas with low carbs, and a mix of plant and animal-based proteins may win you and your dog over. 4Health dog food is a private label exclusive to the Tractor Supply Company and is only available for purchase through their website. Other touted premium dog foods that can compare as an alternative to 4Health include Diamond Naturals, Taste of the Wild, and Blue Buffalo. Comparable brands of dog food can be found at major distributors and retailers across the country, and are not exclusive. Just like 4Health, Diamond Naturals uses real animal protein sources like beef, and includes omega-3 and omega-6 fats. Diamond Naturals doesn't use wheat, corn, or soy products in its brand, similar to 4Health. Both Blue Buffalo and Taste of the Wild use antioxidants in their formulas, and use real meat sources. Similar to 4Health, Taste of the Wild also uses sweet potatoes and peas for a carbohydrate source. Compared to the pricing for brands like Blue Buffalo and Taste of the Wild, 4Health bags of similar weight and size retail for considerably less. 4Health dry dog food formulas contain anywhere from 24% to 30% protein and have a low amount of carbohydrates at 30%. The fats included in 4Health dog food are gathered from both animal and plant sources to keep things balanced. The use of antioxidants in dog food formulas encourage better health and even assist with digestion and absorption of specific nutrients. 4Health does have a Sensitive Skin formula for adult dogs, which has limited ingredients, contains absolutely no grains, and has a balanced ratio of omega fatty acids. The composition of the 4Health Sensitive Skin formula uses broken down hydrolyzed salmon, to reduce the chance of an allergic response. Plus, the elements within the Sensitive Skin formula support a healthy coat and skin for dog's with adverse immune reactions due to specific ingredients, health problems, and dog food formulas. If you like the idea of feeding your dog an exclusive private brand of dog food, which has a reduced cost compared to competitors using similar premium quality ingredients, 4Health is a decent dog food choice. You do have to be comfortable with having only one source to get your dog's food and live with the wait time for shipping. However, customers do have the option of signing up for auto-ship and can enjoy free shipping. 4Health does receive high ratings from satisfied customers for how their dog's health has benefited, the quality of customer service, and the ingredients contained in the diet. There are other brands with equivalent or slightly better ingredients and reviews than 4Health dog food, but the price is a bit more pricey. 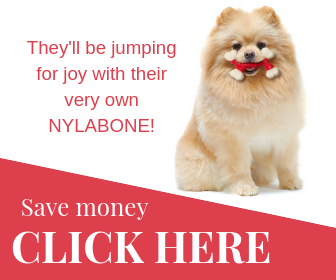 If you are looking for a dog food that is similar to brands like Blue Buffalo or Taste of the Wild, don't mind waiting on shipping from a single source, and are looking to save some money per pound, you'll want to choose 4Health. If you are willing to spend a few more dollars and want a dog food that is more readily available, then you can keep 4Health as a backup plan for your dog's nutrition. The Tractor Supply Company does offer free standard shipping via UPS depending if your order meets specific requirements. Using a trusted delivery service like UPS is an added layer of assurance for customers who want to feed their dogs 4Health food. Overall, 4Health does over quality for a fair and affordable price. Exclusive store brands have the ability to offer consumers the quality they want in a product, without attaching a price that can cause sticker shock. But ultimately, what matters most is that the formula of dog food you choose is agreeable to your dog's palate, and supports their health and wellness. 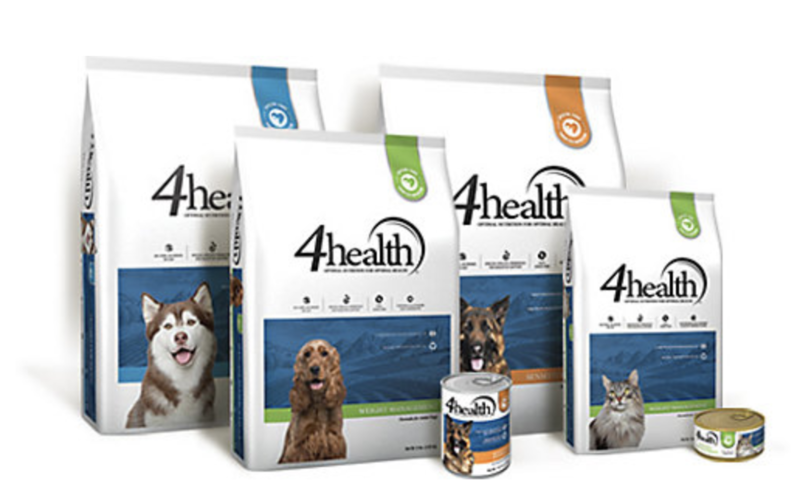 4Health is a private brand and does not have coupons are deals attached to the dog food label in itself. However, you can find coupons to save money or get a percentage off of an order made online Tractor Supply Company, which is the only source of 4Health.